What are the courses offered in Seberang Perai Polytechnic? Seberang Perai Polytechnic offer courses for Certificate and Diploma level. The Certificate and Diploma courses covers the field of Electrical, Mechanical and Commerce. How long are the duration for Certificate and Diploma courses? The study duration for Diploma courses will be for 6 semesters, while Certificate courses will be for 4 semesters. However, the study duration will differ for certain students, especially for carry module students. Do Seberang Perai Polytechnic offers part-time courses? Yes, Seberang Perai Polytechnic do offers part-time courses but only for students who have a Polytechnic Certificate only. Will students be eligible to get sponsorship or study loans? Yes, only diploma level students are eligible to apply for sponsorship and study loans from various bodies, such as PTPTN and JPA. Are the students eligible to transfer their credit? What are the terms and conditions to continue my studies in Seberang Perai Polytechnic? The terms and conditions are different according to your level of qualification and the course you want to apply. 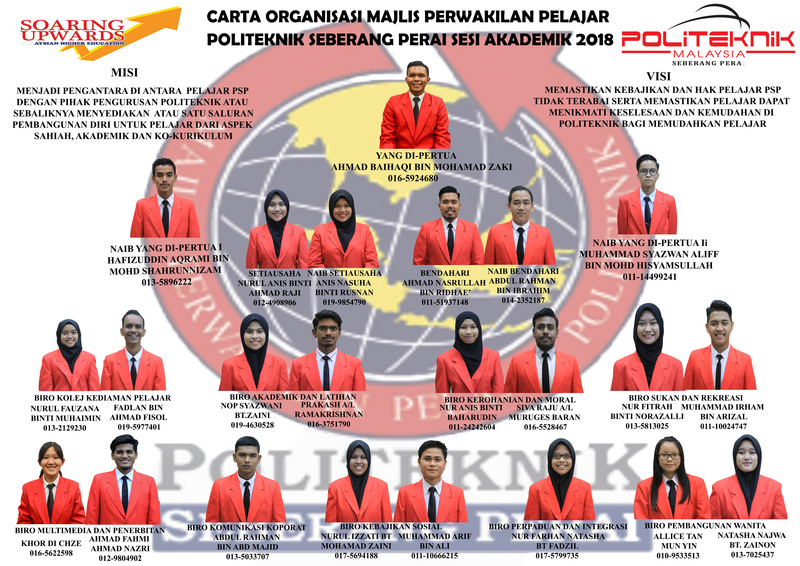 Please log on to www.politeknik.edu.my for more details. How do I apply to study in Seberang Perai Polytechnic? Application is through online via www.politeknik.edu.my and the offer will be advertised twice a year. How to contact Seberang Perai Polytechnic?